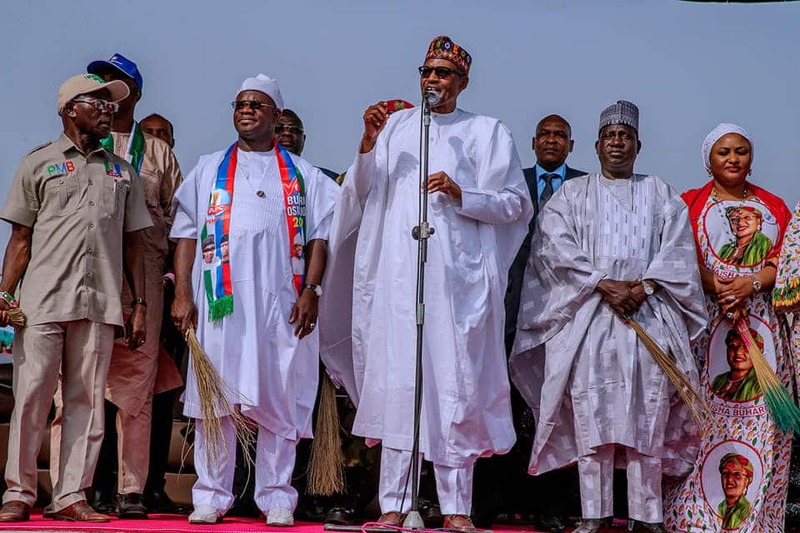 President Muhammadu Buhari's special adviser on social media, Lauretta Onochie, has reacted to the report that the president stumbled during the Kogi state on Wednesday, January 16. The social media aide said those who are capitalizing on the alleged report to score cheap political points are unreasonable. Lauretta went further to argue that nobody born of a woman would say he/she has not missed step in his/her entire life. The president's media aide took to her Twitter account (@Laurestar) on Thursday, January 17, to share a video of ex-president Barak Obama of United State, where he was coming down from a plane and missed his step to justify President Buhari’s alleged fall, noting that ‘Steps missed by great people are capture on camera’. However, she advised purveyors of fake news to be cautious of what they say in order not to heat up the polity. The Plateau state PDP chairman, Damishi Sango, in a statement on Friday, January 11, alleged that the party had gotten credible reports that sponsored thugs were preparing to harass, intimidate and attack PDP officials at a scheduled rally on Saturday, January 12, at the Polo Field, Jos, The Sun reports. NAIJ.com (naija.ng) -> Legit.ng: We have updated to serve you better!